The Boho Dress is such an easy shape which flatters all shapes. 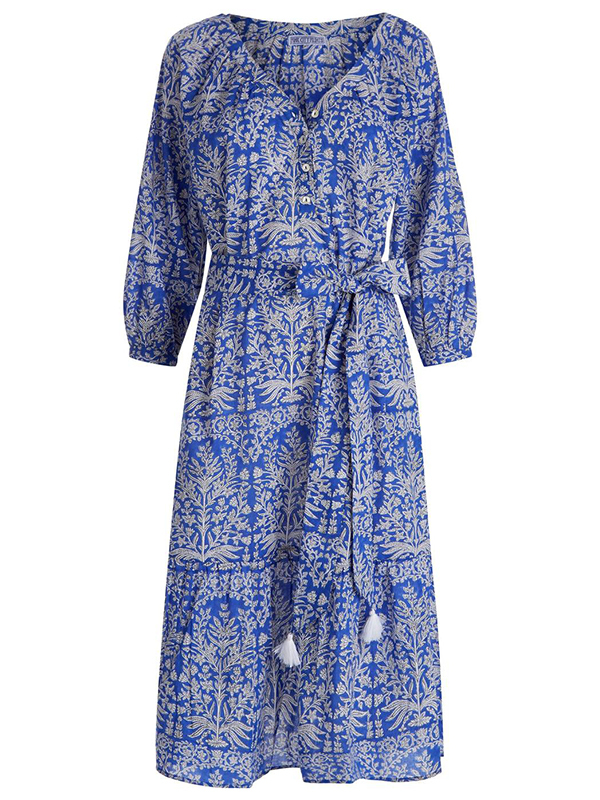 A nice deep open neckline, free belt and pockets make this the perfect throw on dress. This azure blue colour looks gorgeous on all skin tones. Dress it up with a wedge or slip on sneaks or sandals for a more laid back look. One size fits all amazingly!